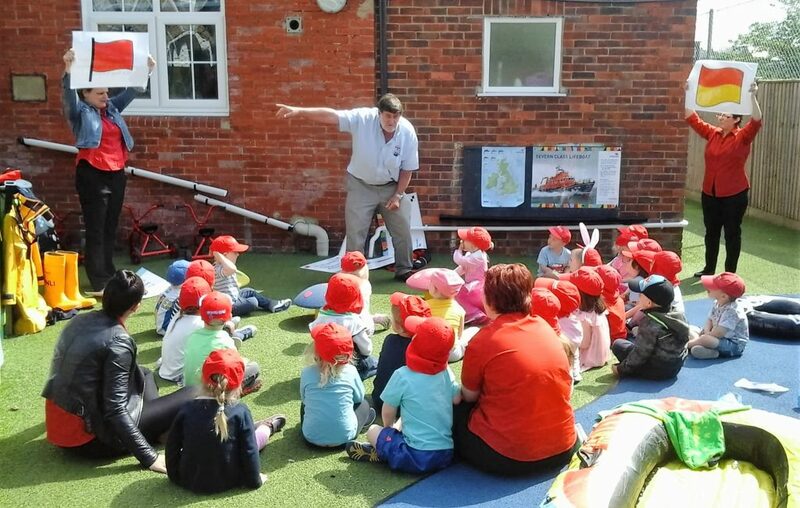 Living near the seaside, we understand how important it is for our children to learn about the possible dangers. 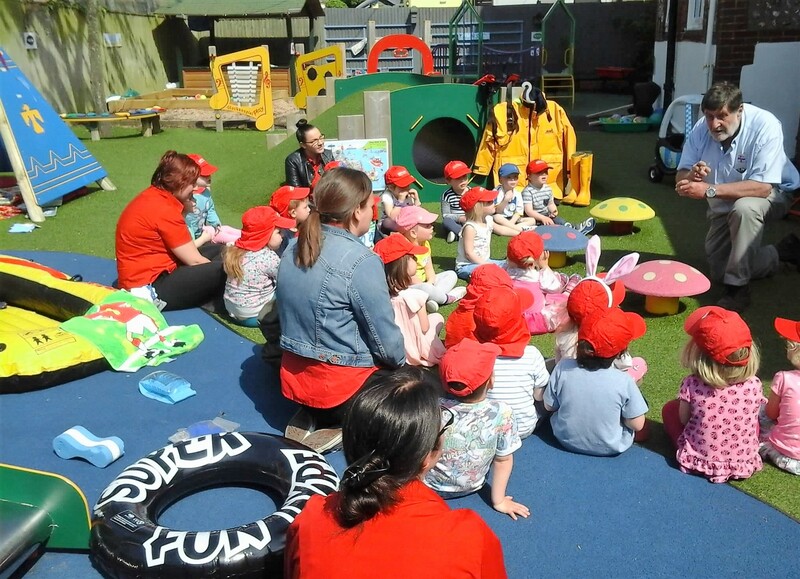 We invited Bill Watson from Newhaven RNLI to visit our Seaford Nursery to demonstrate beach and water safety to our pre-school group. The children listened carefully as Bill also told them about the different coloured flags, why they are used and their meaning. 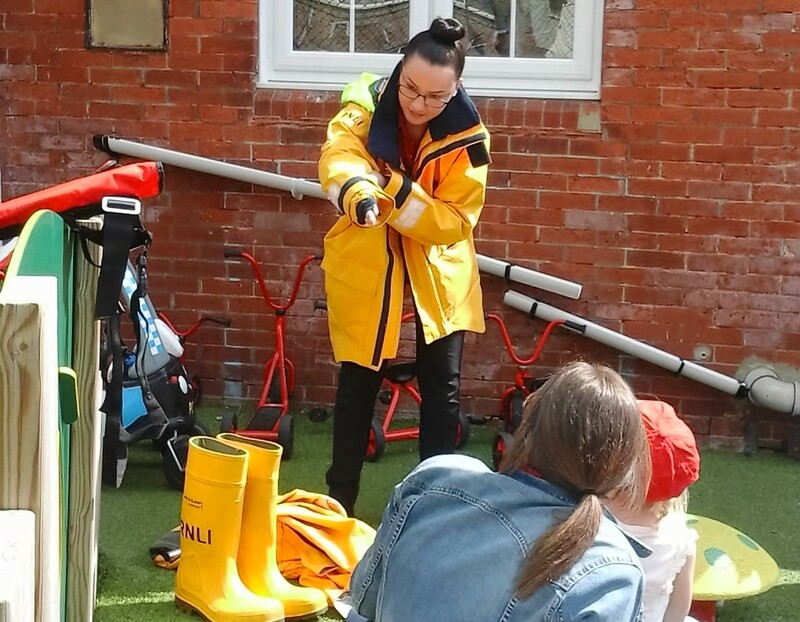 Our staff member, Bria, volunteered to get dressed in the inflatable rescue suit, much to everyone’s amusement but also to learn how it would keep her safe and afloat in the water! 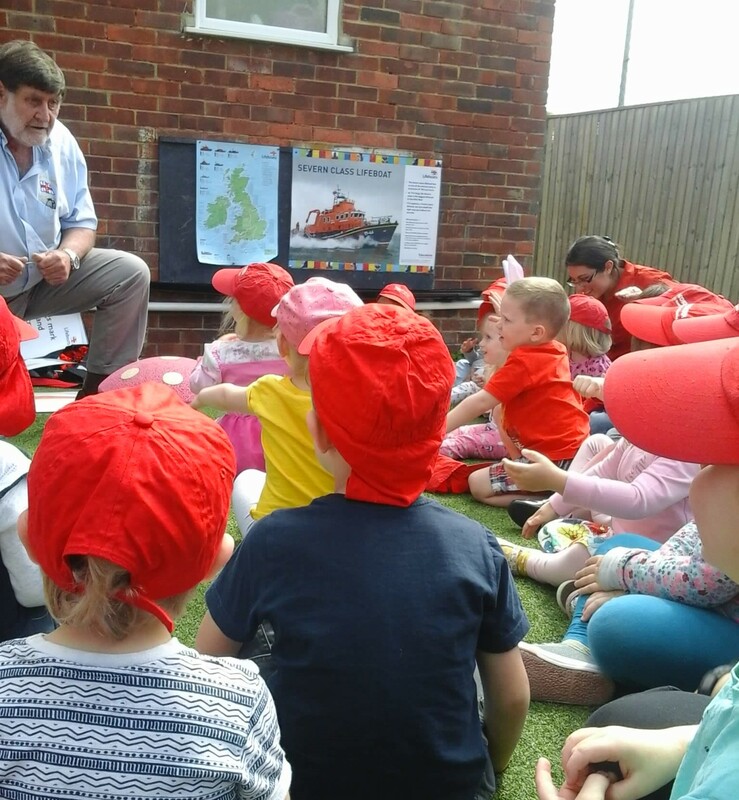 Thanks to Bill we all have a better understanding of water safety and the amazing RNLI volunteers.